More doesn’t always mean better. Smarter is better. 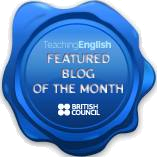 One sentence may be as useful for teaching purposes as a wall of text with lots of words. 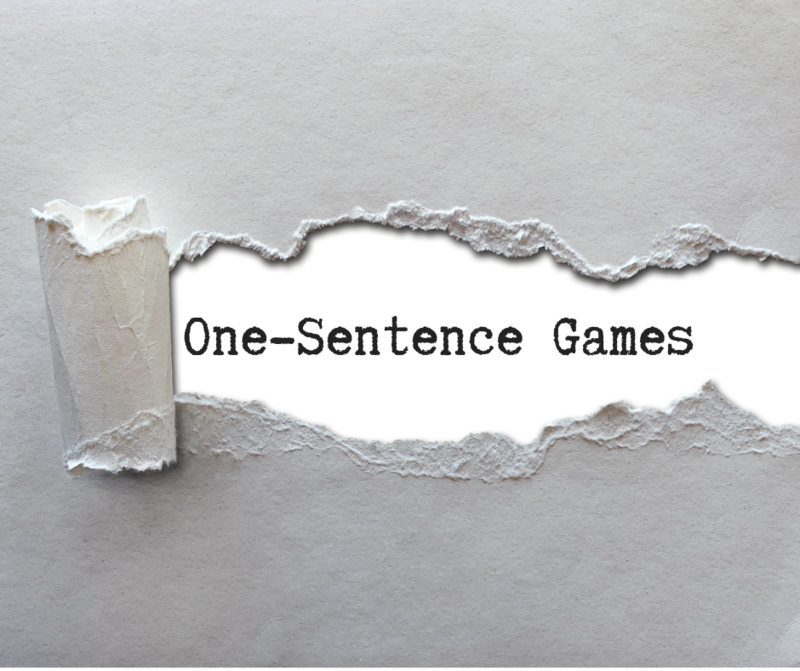 My today’s post is a collection of one-sentence games (see Word Games if you’d like to try some games with words). These are games that require next to no time to prepare and might be used to help students retain new vocabulary and grammar, improve their speaking and writing, while playing around with the language. 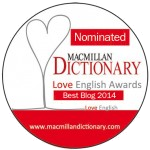 Similar to the Telescopic Text experiment, the aim of the game is to expand a phrase or a simple sentence into as long a sentence as possible by adding extra words. You can play the game with the whole group or split students into small teams. Write a single word or a phrase on the board. Then invite students to add one or two extra words to make it into a longer sentence. Each word brings one point. The winner is the one who has scored more points. You can use this game to make any gap-fill exercise more learning rich. Get students to suggest more words or phrases that could be added to the item (before/after). They planned a 2-day trip to England so they could see …………………. The idea is beautifully explained in the Opposites Game by Brendan Constantine. As a writing exercise, Brendan Constantine gives students a line of famous poetry and asks them to write, word for word, the exact opposite. This activity works really well as a pre-reading exercise, serving as a springboard for further discussion. Students recite alphabet silently, the Curious Cat says ‘STOP’ and points randomly at a player. The player tells which letter he/she stopped at. Or use the Random Letter Generator. Ask your students to make up one sentence answering the questions, “Who, does what, to whom, when, where, how, and why?” in one long sentence. Once each student has got their words, tell them that they must write a single sentence that uses all the five words. This game can be played by 2-3 players. Write a simple sentence. Then players should add one word to the sentence to make a new sentence. The player who adds the last word wins. Hangman with a sentence sounds like an ideal combination. Pick any sentence. I often use opening lines from different books (often, the ones I’d like my students to open and read, or the ones that are relevant to the topic of class discussion). The rules are the same as in Basic Hangman: draw a blank line for each word in the sentence, and ask your students to guess it by suggesting words. If the sentence is long, you may give a few words to simplify the task a bit. So, this is the opening line from Peter Pan. Have you read the book? Draw one element of a hangman’s gallows when the students guess wrong. If you find Hangman insensitive, it might be easily transformed into a score-based game. Give a point to the team for each word guessed. Present the first letters of each word of the sentence and ask students to come up with a grammatically correct sentence. Do you have a good one-sentence game to add to this collection? 2. Break the class into two teams. 3. Select one team member from each team and bring them to the front. student at the front see it. Start the timer for 2-3 minutes. 6. When they get it correct, switch to another sentence and show the other team. 7. Continue showing sentences to each team in turn until time runs out. 8. When time runs out, the team taking a turn at that time loses. Thanks for sharing these games. I’m not really sure I understand how ‘build a sentence’ works – is it kind of like a crossword when they’re adding words to make new sentences? Hi Sandy, thanks for stopping by! Yes, sort of a crossword. It’s played just like Build a Word (https://eltcation.wordpress.com/lesson-plans-2/word-games/) where players make new words by adding letters to a starting (base) word. In this game, you give a base sentence and then learners make a new sentence by adding a new (notional) word. It’s good ideas! Thanks you . from new teacher.